Who needs an eye exam and how often? There is no absolute answer to this question. a problem, but are more likely to have a change in their vision or glasses prescription? especially if they are already in glasses or contact lenses. age of 60 on a yearly basis since they are at more risk for cataract, glaucoma and macular degeneration. 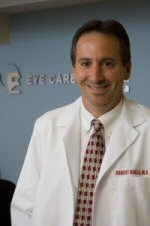 Patients with a family history of any significant eye disease should be seen yearly as well. evaluating a change in vision but equally important is the health portion of the exam. vision with or without glasses. Enjoy the rest of the summer. Get those kids checked before school starts!